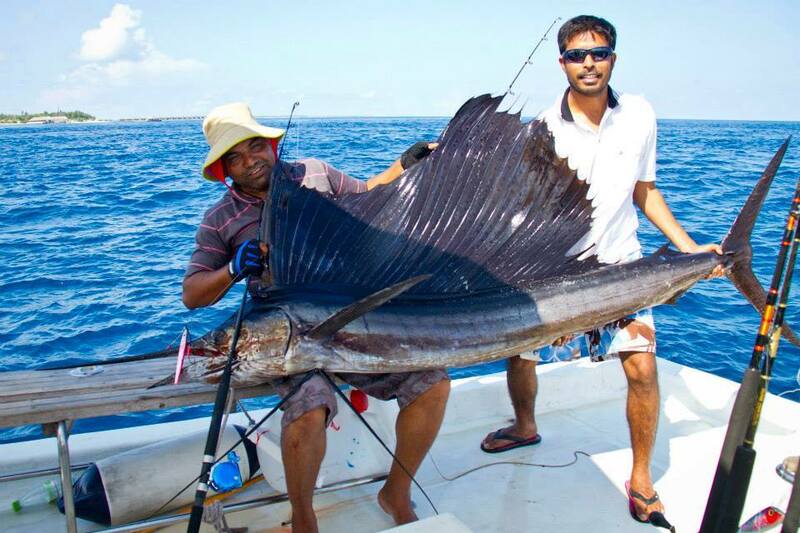 Fishing is one of the main activities around the Maldives and during the day Game Fishing in the Maldivian seas will most likely be successful. Our dive boat has been specifically designed to accommodate Game Fishing and boasts all the latest fishing equipment associated with landing the ultimate tackle testing pelagic species that inhabit the Indian Ocean. Expect to latch on to species such as Yellow Fin Tuna, Barracuda, Trevally, Wahoo, Sail Fish and Dorado. Expect the most exciting sport from GT’s where we offer the angler from our boat to search the reefs early morning and evening with poppers cast to the reef and retrieved at a fast rate, the takes from these fish have to be seen to be believed, the experience of hooking one will have you addicted to this kind of angling.